Why not Raspberry PI as CAN Adapter? 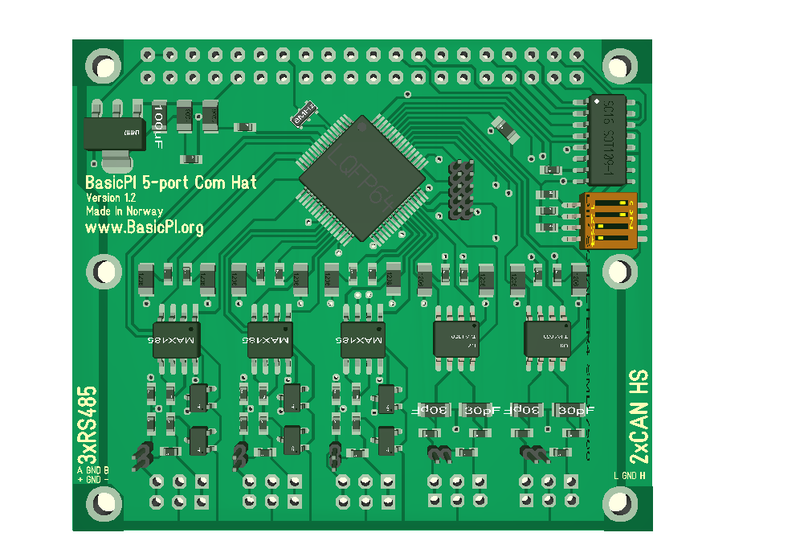 This is the rev 1.2 of my 5 port Hat with 3 x RS485 and 2 x CAN. I never ordered this PCB because it is only mechanical changes from Rev 1.1. But, using this or a galvanic version with Raspberry PI is an option for my CAN Adaptor plans. The advantages with this is that Raspberry PI have an excellent HMI option. It would also enable a PLC style adapter where you add on what you need – but it would be a much larger solution as well. The size difference from a packed, single board solution is not dramatic and it offer other options as you get a proper display, keyboard and a full Linix computer to back it up.